L and I went to a concert last night. I should note: when thinking about the concert, my ability for rational thought is diminished, as is my power to construct coherent sentences. 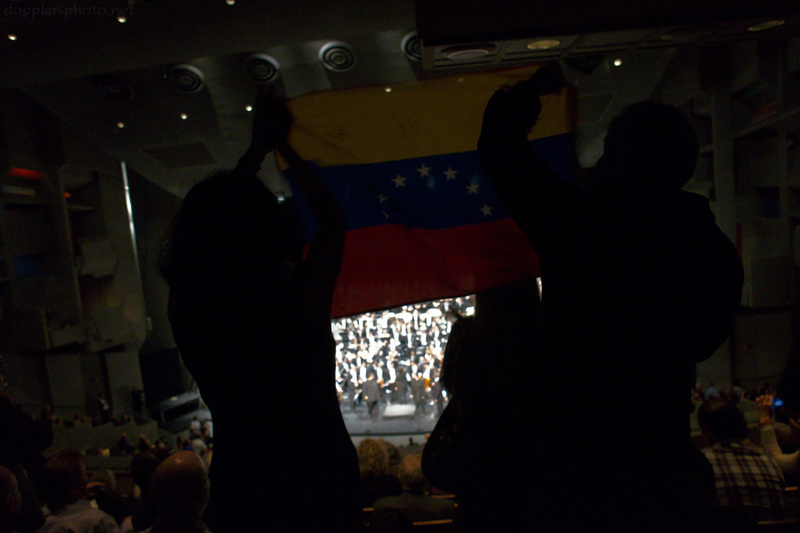 In the photo, two people cheer and wave the Venezuelan flag during a curtain call at the end of the concert, in celebration of the homeland of both the conductor and the orchestra. Now, let's go back in time. Gustavo Dudamel is L's favorite conductor. While searching for him on YouTube some number of years ago, I bumped into this video of him leading what was at the time the Simón Bolívar Youth Orchestra. It was by far the most moving orchestral performance I had ever seen; I still can't watch or listen to it without dancing in my chair. 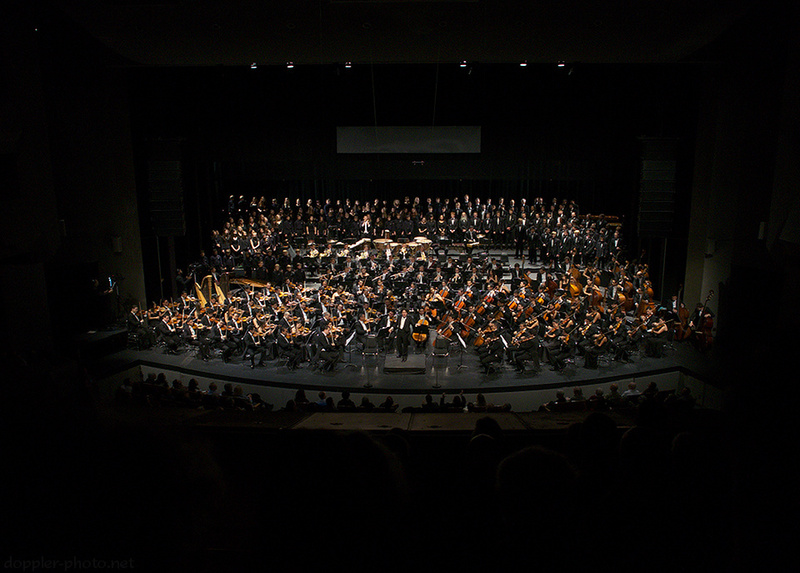 And then I found the encores (click here), which redefined for me what an orchestra could be, and how it could behave. They combined joy, pride, and musicianship in a way that I had never seen from any other orchestra. So suffice it to say that when a friend pointed out that they'd be performing at Berkeley's Zellerbach Hall, my wallet practically leapt out of my pocket and threw itself at the ticket ordering website. And man, was it worth it! To be honest, last night's concert even bested the videos on YouTube. The orchestra was again cheered on to two encores, and they again played Leonard Bernstein's "Mambo" as the second encore. In the photo, Dudamel directs the audience as they sing along to the piece. ¡Que chévere!